John Zaskoda’s “Stranger Advice” puts UFOs, conspiracy, and love on the air. And OK, maybe this 37-year-old Fort Worthian believes that airplanes and jet fuel didn’t bring down the Twin Towers on 9/11 but that something called “free energy” did, a belief inspired by the theories of an allegedly apolitical molecular physicist. And OK, maybe John Zaskoda, a happily married father of three, has used ayahuasca, a supremely powerful drug, ordered by mail from some dude up in Canada. So what? Much more harmful methods of transcendence are employed by millions of people every day. Maybe, just maybe, the short, stocky guy known as JZ to his friends is onto something. 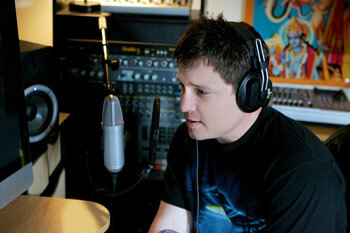 Between 1 and 3 p.m. on Mondays, Wednesdays, and Fridays, thousands of listeners tune into Stranger Advice, Zaskoda’s alternative/underground-media talk-radio show webcast from his home in Westworth Village via American Freedom Radio, one of the largest web-radio platforms in the world, based in Austin. Topics of discussion include consciousness, spirituality, the industrial food processing complex, government conspiracy, political injustices, nutrition, metaphysics, ancient mysteries, and, yes, UFOs. Making that transition, Zaskoda said, is “the equivalent of being taken out of a garage-band situation and, let’s just say, being put in a [band on the level of] a Casey Donahew or a Cross Canadian Ragweed. It’s not national, but … it opens me up to things like developing the [Stranger Advice] web site” to turn a profit. Past Stranger Advice guests include former CNN correspondent turned screenwriter Bryce Zabel, New York Times bestselling author Mike Bara, and Apollo 14 astronaut Dr. Edgar Mitchell, the sixth man to walk on the moon, who’s convinced that, well, we weren’t the first ones to pay our old celestial nightlight a visit. Of all upcoming guests, the one on Jan. 25 is the hottest commodity: Dr. Judy Wood, the molecular physicist who believes free energy is what felled the Twin Towers and whose book on the subject, Where Did the Towers Go?, is a textbook to some, a joke to others. 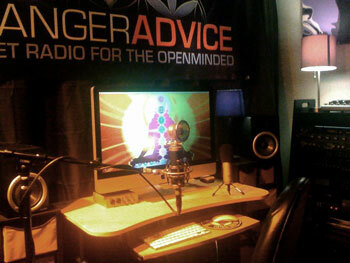 Starting next month, Stranger Advice will be on-air five days a week (Monday through Friday). In between producing episodes, Zaskoda and filmmaking friend Kevin Reynolds (bass player in Josh Weathers & The True+Endeavors) will begin shooting a TV show to be webcast via AFR. Wide Open will mostly be about sustainable living, tying into Zaskoda’s general open-mindedness. Zaskoda invests a lot of manpower in his projects. However, his financial overhead is low –– putting on his show, he said, requires only a laptop and a USB microphone –– but his income is next to nil. To help make Stranger Advice self-sustaining, he’s hired an advertising sales staff of four, working mostly on commission, and he’s also formulating a non-Stranger Advice pilot TV show to pitch to the History Channel. Zaskoda is a charmer. 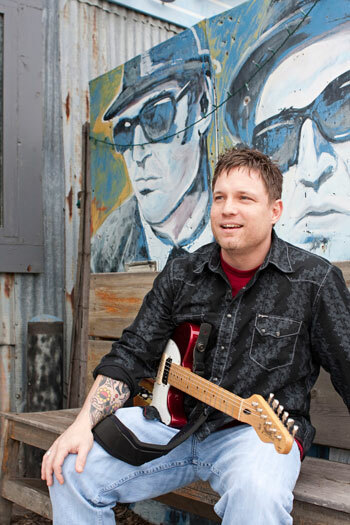 A supremely talented blues/soul guitarist, original singer-songwriter, and an amateur mixed-martial arts enthusiast, he sounds as if he’s been doing radio for decades. He has a light, soothing voice and a calm, inquisitive demeanor, and he speaks in elliptical phrases, full of tangents and some friendly BS but never lacking in color or direction. In person, you can tell he’s gripped by conviction –– not about UFOs or conspiracies necessarily, but about the power of positivity. Last year around this time, love was the furthest thing from JZ’s mind. He had sunk into a deep depression, the result of a void in his psyche that had been created nearly two decades ago, when he got kicked out of his church –– and his house –– while only a teenager. 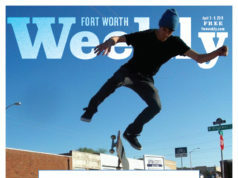 Zaskoda’s family –– including mom, dad, older sister, and older brother –– relocated from Louisiana to Fort Worth when JZ was a toddler, ultimately settling in Westworth Village, where his parents still live. The family was Jehovah’s Witnesses. “I don’t always jump on Witnesses, because it’s like most anything else: It’s completely misconceived as much more radical than it is,” he said. “But what I do know is that when I was a kid, one of the things that was outlined in the Kingdom Hall was that if you commit certain acts in which you don’t deem yourself repentant, you can get dis-fellowshipped,” the Jehovah’s Witness version of excommunication. He spent his 20s and half of his 30s resolving to believe in nothing, bouncing around from job to job, and playing gigs whenever possible. In 2006, with only $1,200 in his bank account and a desire to educate young musicians, he opened a music store on White Settlement Road. Not long afterward, Sessions Music got broken into, leaving him with damages in excess of $12,000, only about a third of it covered by insurance. “If I thought I was on the lowest part of the roller-coaster hill, man, that took me down another level, but that all changed this year like that,” he said, snapping his fingers. What happened? Zaskoda said his hopelessness, a form of selfishness, helped doom him. His marriage was “going downhill,” and he had just lost his job as a graphic designer –– all problems of his own making. Just that little bit of hope, Zaskoda said, helped him. Zaskoda got into radio mostly by accident. In his search for answers –– and ayahuasca –– he recorded a conversation he had with the Canadian dealer to play it back later and digest all of the fascinating details. Conversant in computer editing software, Zaskoda “cleaned up” the convo, packaged it, with an introduction and ending, and sent it to the Canadian to post on his Facebook page. Not long afterward, Zaskoda got a phone call from someone whose name frequently popped up in Zaskoda’s research on UFOs and conspiracies, and whom Zaskoda had actually met one day at a local movie theater: Jim Marrs. One of the most prolific alt-media types in the world, Marrs is the author of nearly a dozen books, including Crossfire, on which director Oliver Stone’s movie about the assassination of President John F. Kennedy, JFK, was based. Marrs had launched a new personal/professional web site and was seeking Zaskoda’s help with creating video content. Instead of payment, JZ requested an interview. The resulting episode received “284 views on the first day,” Zaskoda said. Not long after that episode aired, Zaskoda’s graphic design skills came into play again, this time for Project Camelot, an investigative alt-media organization that’s a little out there even by his standards. In return for his services, Zaskoda again asked for a form of barter instead of money. He wanted an interview with someone with whom the big-wigs at Project Camelot surely had connections: Mike Bara, bestselling author of The Choice, a self-help book for alt-media types. “It’s all in that same space-alien-Mayan niche,” Zaskoda said. Not long after that episode aired, Zaskoda got an e-mail from Steve Bassett, head of Paradigm Research Group, an organization devoted to “exopolitics” or political activism in service of the politics of disclosure. Disclosure of what? UFOs, dude. An interview with Bassett became another Stranger Advice episode. After the show aired, Bassett sent an encouraging e-mail to Zaskoda and included something that Zaskoda saw as a mother lode: a list of contacts ranging in star power from comedian/actor Dan Aykroyd and the executors of the estate of Zecharia Sitchin (the guy who “translated” those ancient texts) to Giorgio A. Tsoukalos, the jovial little Greek character with the big hair from the popular History Channel show Ancient Aliens. But nearly everyone on his “golden list” was willing to talk to him, including subsequent guests Stanton Friedman, a nuclear physicist and UFOlogist who’s appeared on numerous TV shows on Discovery Channel, Science Channel, and Planet Green, and the astronaut Capt. Mitchell. The accidental talk-show host reflected on his recent past. Though his wife, Melissa Zaskoda, earns good money through her work as a defense industry buyer, things were looking pretty grim for the couple at one point not too long ago. He’s still mystified by the fact that as soon as he got laid off from his graphic design job, leaving him with an abundance of free time, a web-radio talk-show landed in his lap. Has John Zaskoda ever seen a UFO? “Never, ever,” he said flatly, but he still finds the idea of extraterrestrial visits compelling. “It has me thinking about possibilities,” he said. For Zaskoda, the path toward believing in the possibility of UFOs began with looking inward, not skyward. When he stumbled across a YouTube video by a well-known life coach, it helped convince him he needed to re-evaluate his behavior and to be more honest with himself about his good and bad qualities. Consequently, Zaskoda rethought his approach to religion. Here too he found an examination of history was the place to start, looking for facts rather than dogma and opinion. He was quickly drawn to Sitchin’s “translations” of ancient texts. If it sounds like JZ is on a steady Kool-Aid diet, he insists he’s not. He’s just “listening and staying open-minded,” he said. However, he believes that many so-called fringe subjects are being wrongly ignored by Western culture, especially in relation to exopolitics. And the politics of ET leads directly to Bassett and the Paradigm Research Group. 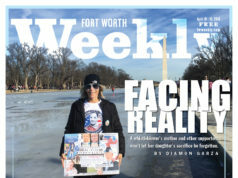 When the White House last year initiated We the People, a project designed to let U.S. citizens petition the government for information, the Paradigm group was almost first in line. Within 30 days the group had gathered the 5,000 signatures then required to petition the government to disclose all federal knowledge of extraterrestrial beings. A similar petition by PRG to get the White House to acknowledge extraterrestrial presence followed quickly. Refusing to ignore the unexplained has been Jim Marrs’ work for years. 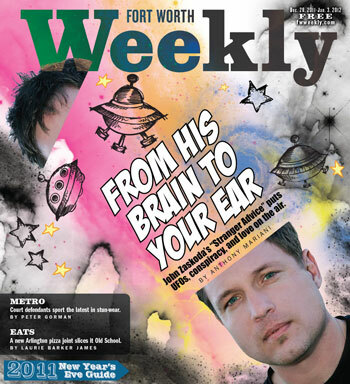 Over the last century, several of the UFO stories that have most captured the public’s imagination have occurred in Texas or had some tie here. A few days ago, for instance, Marrs took Zaskoda and a couple of associates to Aurora, just northwest of Fort Worth, where a historical marker recounts the legend of a spaceship that was said to have crashed nearby in 1897, its alien pilot buried in the town’s cemetery. Afterward Marrs took the crew to his “vault.” If it wasn’t the Holy Grail for UFO research, it was pretty close to it. Zaskoda said his face was drained of color when he left. “I was thinking, I just saw things that nobody’s ever seen before,” he recalled. If the federal government is hiding UFO information, the leap to other conspiracy theories isn’t a huge one. For Zaskoda, it leads to the Occupy Wall Street Movement and what he –– and others –– fear may be a fascist reaction to such mass protests and strong public outcries. 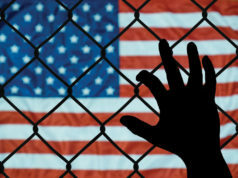 Zaskoda talks about the so-called “FEMA camps,” temporary shelters erected across the country by the Federal Emergency Management Agency that conspiracists fear will be used as concentration camps for U.S. citizens. All of the relevant factoids –– a police state, Amtrak death trains, the purchase of 500,000 plastic coffins –– have been debunked, most elegantly by Popular Mechanics (“Debunking the FEMA Camp Myths,” April 10, 2009). But a conspiracist could argue that Popular Mechanics is just another one of The Man’s propaganda tools. “Unfortunately, there is lots of bad info out there, and the alternative media tends to lap it up like thirsty dogs,” Zaskoda continued. “I too bought into a number of the stories, and it’s almost impossible not to when [other] hardworking and well respected hosts and researchers with thousands of dedicated listeners are talking about it all of the time. Zaskoda’s broadcast booth is his one-car garage. The low-ceilinged room manages to be both uncluttered and filled with artifacts, from framed posters to an abstract painting to a red mechanic’s toolbox covered in bumper-sticker logos for assorted brands (Knoxx, Von Dutch, Koral). A couple of shelves are full of books: Lost Cities of the Ancients sits alongside Shamanic Wisdom, The Message of the Sphinx, The Sign and the Seal, and, of course, Where Did the Towers Go? and a Sitchin book. A Johnny-Cash-shooting-the-bird poster shares wall space with one depicting the cover of Jimi Hendrix’s sophomore album, Axis: Bold as Love, showing the legendary guitarist posed like a many-armed Hindu god. A Buddha shares shelf space with a Virgin of Guadalupe candle. Beneath a huge banner for Stranger Advice –– the title of the show in a no-nonsense font splayed across circular, interconnected, stylized lotus leaves –– sits the command station, Zaskoda’s computer, microphone, and chair. Cole advocates pot legalization and all other kinds of drug-related usages and rights. She thinks the highly controversial herb salvia divinorum is OK — if used responsibly, of course. During the broadcast, she explained the types of reaction to the drug: One, she said, is almost spiritual; the other like a roller coaster. Zaskoda let her off the hook, proceeding to ask about regulations, which brought him and his guest back to common ground. “You can’t do it,” he said. Zaskoda is also gearing up for Wide Open, one of several shows on American Freedom Radio’s ROKU channel. (A ROKU device is like an iPod for TV.) The Stranger Advice/Wide Open sales team is already at work, selling airtime to everyone from green businesses to nutrition retailers. He gets excited, talking about living his life by ethics that define him, about not having a Plan B “because it distracts from Plan A.” But he also eventually reaches the practical details, the pros and cons of how his current passions affect his family. “Con: Dad works a lot. Pro: Dad gets to work at home. So there is a balance. … I’m always within earshot. … But there is an understanding between my wife and me, and that understanding is something I don’t think we’ve ever had before, and that’s that she sees me being successful. … My wife knows that this race is a race to provide something ultimately I’m happy with and hopefully will pay off financially for my family.